1. It’s written by that guy that co-created ABC’s Outland and that guy from ABC’s The Bazura Project. You like those guys. They do good things. 2. It’s got jokes, but also pathos, drama and heart. It looks behind the kitsch and glamour of Eurovision to explore themes of failure, revolution, history and identity. Deep! 3. It has an amazing cast, including Green Room Award winner Marta Kaczmarek (Shine, The Circuit, Offspring), Nick Colla (Neighbours, Blue Heelers, Wicked Science), Chris Broadstock (award-winning impro performer, Bed Of Roses, Blue Heelers), Jack Beeby (Australian Shakespeare Company’s Twelfth Night, and known for his cabaret under the nom-de-plume “6” Uncut”), Noah Moon (better known as rapper Ca$h KRZMA), Angus Brown (acclaimed stand-up comedian) and Petra Elliott (musician, actor and host of live Doctor Who podcast Splendid Chaps). It’s directed by Lucas Testro (Channel 7’s Winners & Losers, 10’s Neighbours). 4. Half of it is set during the Portuguese Revolution of 1974. You don’t see that every day. 5. It includes a brand new 1982 Eurovision song (although this arguably might be a reason against. Please consult your doctor if pain persists). Songs for Europe is a single show made up of two short plays, the first is called “Nothing” and the second is “Carnation Revolution” They have been written by John Richards (Outland and Splendid Chaps) and Lee Zachariah (The Bazura Project) so you know they will be funny and insightful. While they’ve appeared on several podcasts together, this is the first collaboration between John Richards and Lee Zachariah- but why Eurovision? Lee: That was my first question to John! John: I love Eurovision! I love that while we always go on about the glitter and the kitsch – which is great – it also has this much darker side. 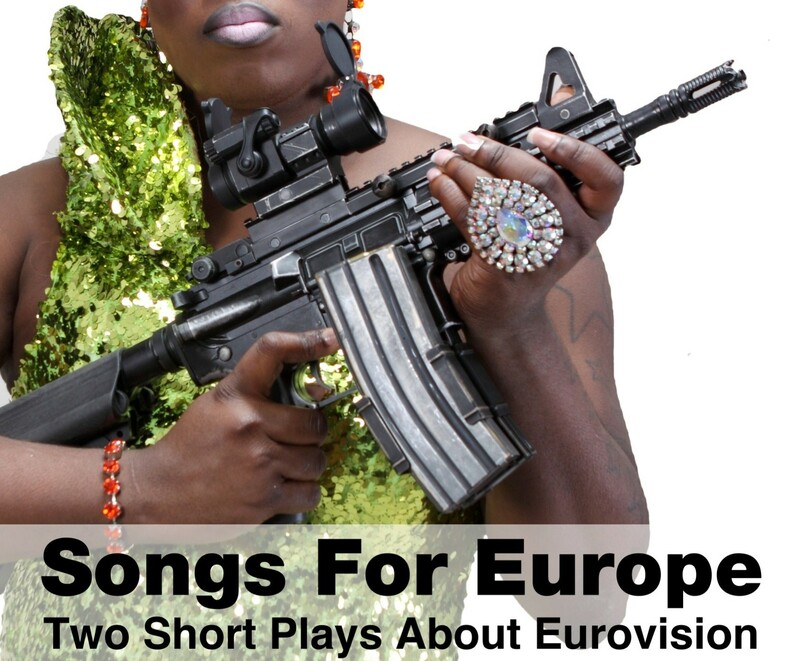 There are so many real-life Eurovision stories that involve war, protest, and tragedy. One of the reasons they started Eurovision was to reunite nations that were at war only a few years previously. And then they made it a competition. Madness. Lee: What won me over to the idea was when John told me about the 1974 Portuguese revolution that was basically kicked off by a Eurovision song. The more I read about it, the more desperate I was to tell that story. It’s really extraordinary. Both John and Lee are best known as television comedy writers. John co-created and wrote ABC1 sit-com Outland, while Lee wrote and performed in The Bazura Project for ABC2. 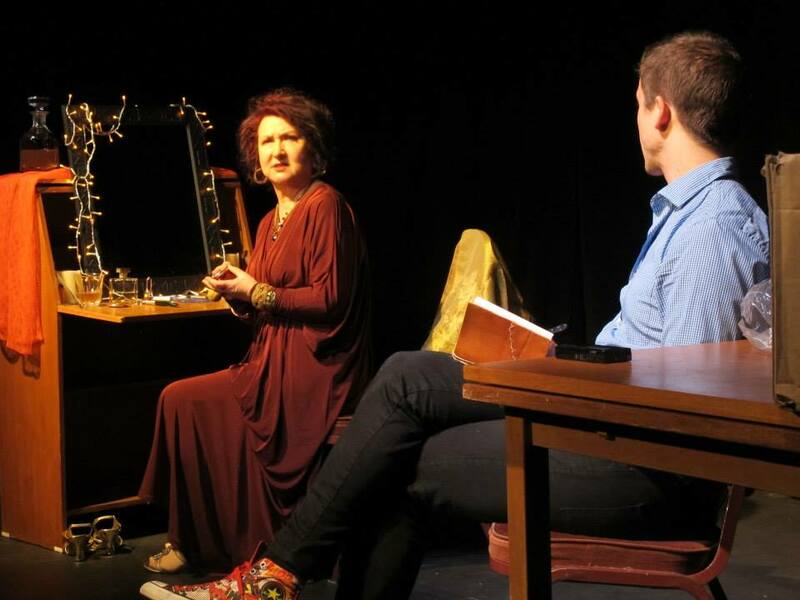 So why write short plays? And are they comedies? John: I wouldn’t say it’s comedy. Well, not comedy comedy. It’s a drama with a high degree of wit. 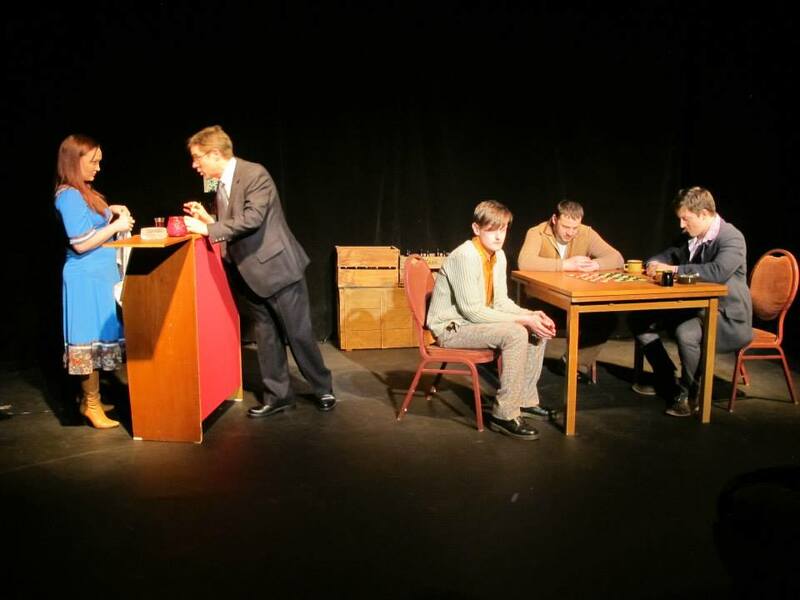 There are jokes, but you’ll also come away with some insight into the human condition. Or possibly just hungry. Lee: I don’t believe that writers should be shackled to any single medium. The idea always comes first for me; then I have to figure out if it’s a feature script, a short film, a TV show, or a silly Twitter joke. It’s usually the last one. 11 Good Reasons to see both sessions of Splendid Chaps 4 Tom Baker / Comedy. 1. It’s Doctor Who’s 50th Anniversary this year, and Splendid Chaps is basically a birthday party. Who wouldn’t attend a 50th birthday party? Some kind of monster, that’s who. 3. It’s also a podcast recording, so your enjoyment will be immortalised forever. Future generations – and your friends right now – will be jealous every time they hear your laugh and will be reminded of the emptiness of their own lives. 4. Splendid Chaps: A Year Of Doctor Who has topped the iTunes Film & TV podcast charts, and sold out previous shows. So they’re a safer bet than your cousin’s friend’s show with the made-up quotes on the poster. 5. Speaking of which, Doctor Who archivist Andrew Pixley called Splendid Chaps “tremendous fun”, Time Out called it “a smash hit” and the Bigger On The Inside podcast called it “semi-professional”. 6. 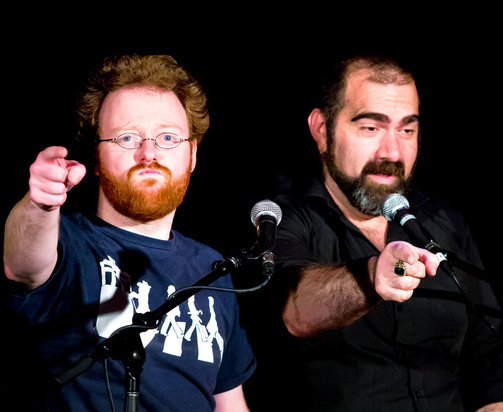 The chaps behind Splendid Chaps are comedian Ben McKenzie (Dungeon Crawl, “patron saint of geek comedy”) and writer John Richards (ABC1’s Outland, Boxcutters podcast). They were born to do this. 7. They are joined by co-host and factmeister Petra Elliott (Melbourne Museum Comedy Tour). Listen to Petra and you’ll actually learn stuff. This show will make you smarter. And smarter is sexier. 8. There’s fabulous guests! ABC3 Steam Punks host Paul Verhoeven and JJJ/Rove’s Dave Callan will talk about Tom Baker in show one, and Fox FM/Outland’s Adam Richard and a super special UK guest (who we can’t name) will be discuss the role of comedy in Doctor Who in show two. 9. There’s fabulous prizes! Thanks to BBC on DVD there’s a door prize where you could win a shiny disc (possibly Shada, or The Ark In Space – Special Edition!). 10. There may be a Dalek. 11. Like any good Tonight Show, they always end with a song. DO YOU END WITH A SONG? No. Case closed. We love it when comedians push the envelope and do something interesting and outside the box. Especially when it involves something they really care about. 2013 is the 50th anniversary of the first broadcast of Doctor Who and geeky stand up comedian Ben McKenzie and creator of the best gay, scifi sitcom ever, Outland John Richards, have committed themselves to producing a monthly podcast discussing the history and influence of The Doctor. Each month the podcast will focus on a different Doctor (Eleven actors have played The Doctor so far – though this can be contentious, Wikipedia says it is eleven and they must be right…) and also cover a theme important to the world of Doctor Who. They promise guests, laughs and surprises. Why have you decided to celebrate the 50th Anniversary of Doctor Who with a live podcast? BEN: I’ve had some limited podcast experience, appearing on other people’s – including John Richards’ one, Boxcutters – and I’ve been planning to make my own for some time. (I’m hoping to start another one, about games, later this year.) I also knew I wanted to do something special for the fiftieth anniversary, since I’ve not really publicly celebrated my love for the show before. It seemed natural to combine the two. Once I made the connection between eleven months from January to the anniversary itself and the number of Doctors, a monthly podcast seemed the way to go – but I wanted it to have a community feel, to be something special. I’ve been to many of the “Live in the Studio” events at ACMI, which are live discussions recorded and later podcast, and that seemed like just the basic format I was looking for, so with a couple of tweaks Splendid Chaps was born! I asked John to co-host, since we have been on many nerd dates discussing Doctor Who and we’ve wanted to work together for a while – plus he’s got loads of podcasting experience. He was the perfect choice! I can see the sci/fi comedy backgrounds in both you and John, did you bring different perspectives in how to approach this? BEN: I think so. I know how to run a live show; John knows how to produce a podcast. And we each have contacts relevant to proceedings. How did you bring the rest of the group together and will it be the same group for each podcast or will they change? BEN: The plan is to have different guests and record in a different venue every episode – we already have plans to go to Adelaide, and we’ll hopefully head up to Sydney too. We’re like the TARDIS, popping up all over the place, with an ever changing crew! BEN: It’s from a couple of famous lines in the twentieth anniversary special, ‘The Five Doctors’. The Brigadier describes the Doctor: ‘Wonderful chap. All of them.” and later “Splendid chaps, all of you.” The popularly quoted version is a mashup of the two, but it’s become the stock answer for anyone who doesn’t wish to name a specific favourite Doctor. I understood that each podcast was going to celebrate an incarnation of the Doctor, (I’m looking forward to Tom Baker in April – during the Comedy Festival – How appropriate!) What’s with the ‘theme’ and why have a theme on top of focusing on Doctor of the Month? BEN: The theme is important because Splendid Chaps is intended to be something new. The Doctors themselves, and their eras, have been discussed and written about to death, and while we want to talk about them, we also want to talk about the many things the show has been over 50 years, and talk about things that haven’t been discussed as often. It’s also a way of making every episode relevant to a broader fan base; you might only be into the new series, but while Episode One will talk about William Hartnell, our examination of Authority in Doctor Who will cover the show throughout its history. What sort of audience are you expecting? I suspect the live audience will differ to the wider podcast audience, will this appeal to the serious Whovian? BEN: I’m not quite sure. I think initially our audience will be people who like John and myself! But yes, I think we’ll appeal to serious fans, though hopefully we’ll be accessible and interesting to anyone who’s curious about thinking deeper about Doctor Who. Will this appeal to the casual watcher who may only know the modern Who? BEN: I hope so! The new series, while a vastly different show to the ones that came before, still wears its links to the past on its sleeve, and I’d like to think most fans are interested in where it comes from. Perhaps our discussions will be a good starting point for fans who’ve not watched any “classic” Who! How long will the Live recording as compared to the finished product take do you think? BEN: The plan is to allow 90 minutes, including time for an interval. This will be edited down to under an hour for the podcast, so you’ll get to hear exclusive stuff if you’re at the show! You have got an exciting guest for the first show – original Cyberman costume designer Alexandra Tynan, do you hope to have serious Who related guests for each show? BEN: We’re not planning that, but when we get the opportunity to speak with people who’ve worked on the show, we’ll certainly take it! Have you got a favourite Doctor, alien or Episode? BEN: I think you know the answer to the first one: splendid chaps, all of him! I still think ‘Caves of Androzani’ is my favourite story, though I also love A ‘Christmas Carol’. I have a favourite or two for each Doctor as well. The first podcast celebrating William Hartnel will be recorded on Sunday 13th of January at The Bella Union Bar, special guests will include Geraldine Quinn and Dr Who Costume designer of the original 1966 Cybermen, Alexandra Tynan (aka Sandra Reid). Be aware that late comers will not be admitted, because they are recording, so be punctual! The Splendid Chaps Podcasts will be released on the 23rd of each month.